I’ve come a long way and if you’re thinking the same thing, you’re missing out. There are a lot of things to do in Mount Dora, whether you’re looking to spend a pretty penny or not a penny at all! 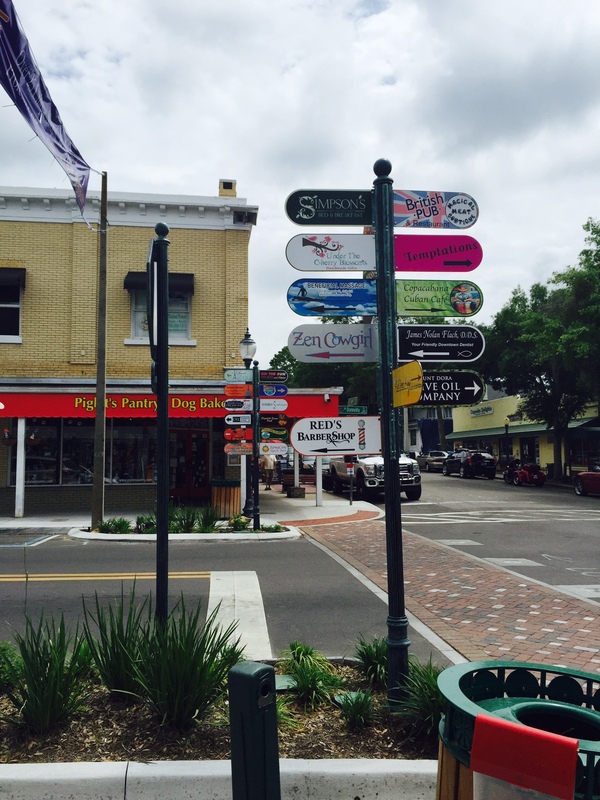 Mount Dora is a quieter Park Ave with a touch of lake life and southern sass, lined with beautiful trees, old-time buildings and specialty boutique shops galore. Right off of the lake near Tavares (about 40 minutes north west of Winter Park, Fla.), Mount Dora is the perfect Saturday shopping stroll. Have you been on an Orlando Food Tour and visited The Spice and Tea Exchange? Well, there’s another location in Downtown Mount Dora, right off of Donnelly Street. Also, walk another block or so to visit Mount Dora Olive Oil Company (think something similar to Ancient Olive). Fan of Life is good®? They have stores for that and Crocs and, one of my favorites, Ashley’s Flag and Sports Shoppe (everything a sports and wine lover could ever want or need). During those hot summer months, it’s fun to just cool off and have a few drinks with friends. This is a great spot for that too. With many restaurants having second-story dining areas and multiple bars each block or so, you could spend hours taking in the historic beauty and booze while you catch up and cool off. If you’re going out there, drop into The Lost Parrot. There’s always a little Jimmy Buffet playing — just the way we like it.